The Flame Archer Mouse is a breed of mouse found in the Fiery Warpath location. It can be attracted and caught only during Wave Two. They are not known to drop any loot. This mouse is hardened by battle and the steadiness of its hand in the most stressful of situations has been developed through years of practice on the field. 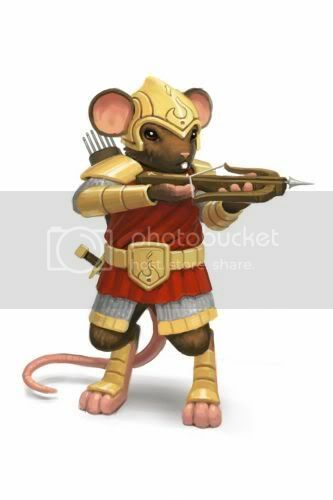 Flame Archer Mice have no specific preference for any kind of cheese. Flame Archer Mice were introduced on 22 March 2011 with the release of the Sandtail Desert region. Flame Archer Mice began dropping the Blue Argyle Egg as loot, on 16 April 2011, for the Spring Egg Hunt 2011 event.